Embiggen Yourself: Waddaya Reading ? 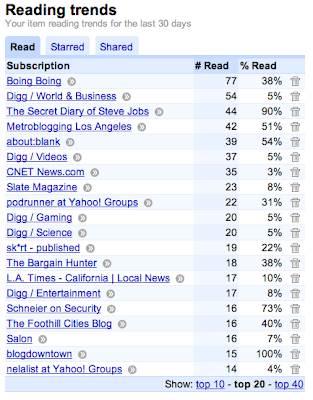 Google Reader has a "trends" feature that keeps track of what you actually read. I think this more about the quaility of the site than my interests, but there you go.